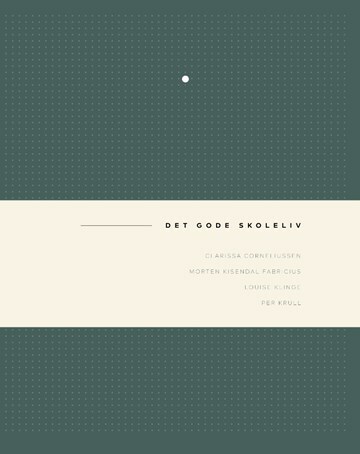 Published at Aarhus University Publishing and released at the Experimentarium Conference on September 13th "Is the school for children and delicate souls? - How do we create the good school life for both children and adults?" In the book we try to answer the question of how school becomes the place where all children's innate desire to learn and develop can be expressed. The book is the result of collaboration between 350 students, 35 teachers and educators, 5 school leaders, 2 municipalities and a group of school experts who in a 4-year project, generously supported by the Egmont Foundation, have developed methods to engage and motivate students in learning difficulties in Primary and Secondary school. The results are presented in the book and the pathways for increased learning motivation and engagement in schools are outlined. Central is the Didactics of Engagement - when students actively work with relevant and meaningful content connected and in a pleasant atmosphere. Our project shows that children's learning motivation is the way to a better school life and that there are many places where we at school can also engage students who usually do not think like to go to school because they do not feel that it is a place for them. Published in the journal KVaN no. 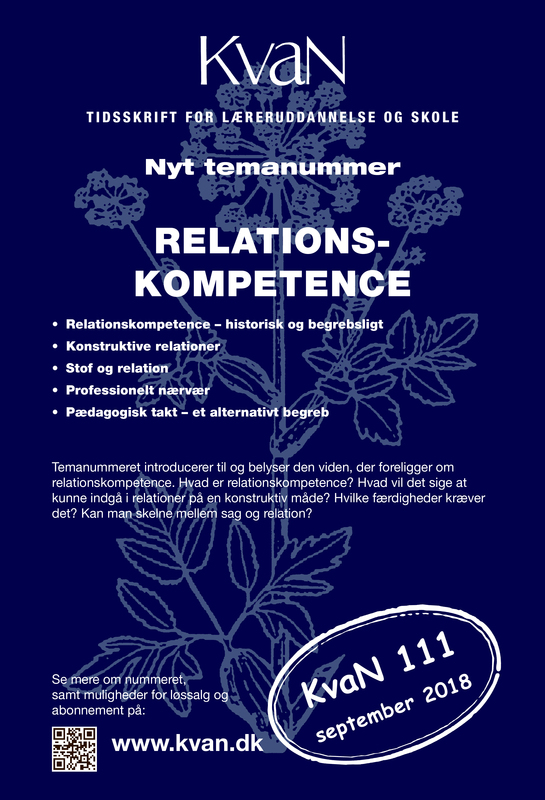 111 with the theme Teacher Relationship Competence, September 2018. Presence and authenticity requires that you are fully mindful in your relationships with students and that can be difficult in a performance-oriented school where academic requirements pressurize many teachers. The article gives an indication of how to ensure a professional presence in the hectic school day, which is essential for being able to establish a developing relationship with the students.